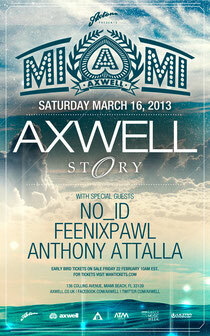 Axwell recently announced his Axtone Records showcase at Miami Music Week on Saturday March 16 at Story. With support from Feenixpawl, NO _ID and Anthony Attalla, the party adds to what has already been a big year for Axwell and Axtone, with a recent Grammy nomination for his own remix of the Ivan Gough & Feenixpawl’s ‘In My Mind'. The label has gone from strength to strength, dropping releases by key artists from Hard Rock Sofa through to Dimitri Vegas, Like Mike and Thomas Gold. 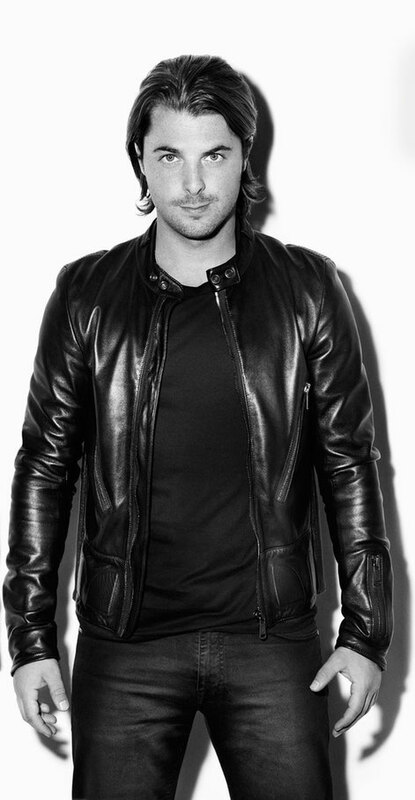 Axwell brings Axtone to Miami, the first landmark date in clubbers' diaries this year, scheduled to take place at South Beach's Story, on 136 Collins Avenue. This will be the first chance to hear a selection of upfront and exclusive Axtone material and be given a taste of just some of the many projects the label has in the works for 2013, including a special track from ‘ID’, which is already attracting a lot of heat. Tickets go on sale from Thursday 28th at: http://axwell.wantickets.com.